More than a millennium ago, Anglo-Saxon leader King Athelstan created some of the world’s first affordable housing: the almshouse. Designed to shelter the poor, elderly, and disabled, these charities offering free housing proliferated across Britain and later migrated to the United States. In the London borough of Camden, architects are reinventing the almshouse for modern housing needs, as Slate recently reported. 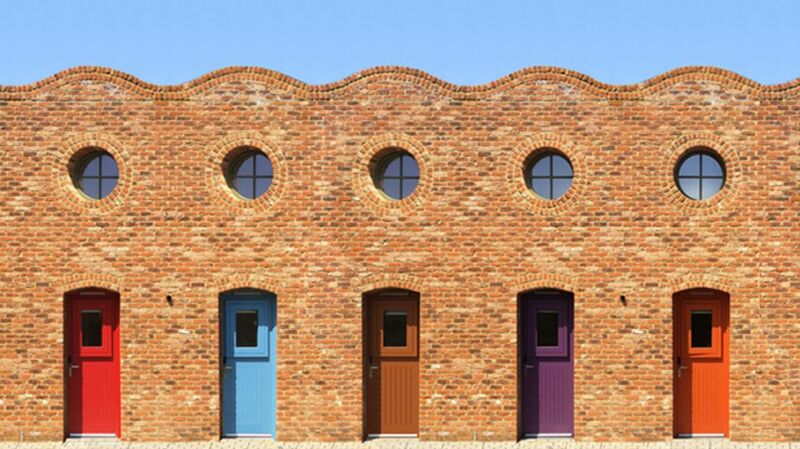 Peter Barber Architects’ Holmes Road Studios, a new transitional housing project for the homeless, was based on the design of the almshouses for the poor and elderly first established in 10th century Britain (and still operating today, in some cases). The 59-studio development just won architecture’s 2016 New London Awards. Each of the tiny brick studios—which look kind of like a parade of mini-castles—has double-height ceilings, a lofted bed, and skylights. Encircling a garden courtyard, the residence gives “its occupants a real sense of belonging, empowerment and self-worth to enable them to find their feet,” according to New London Architecture’s prize announcement. The development is designed to allow residences to tend the garden collectively, as well as host counseling sessions and small meetings in a shed-like room in the courtyard.